That Boutique-y, the hydra-headed bottling offshoot of Master of Malt, produce some very fine drinks. 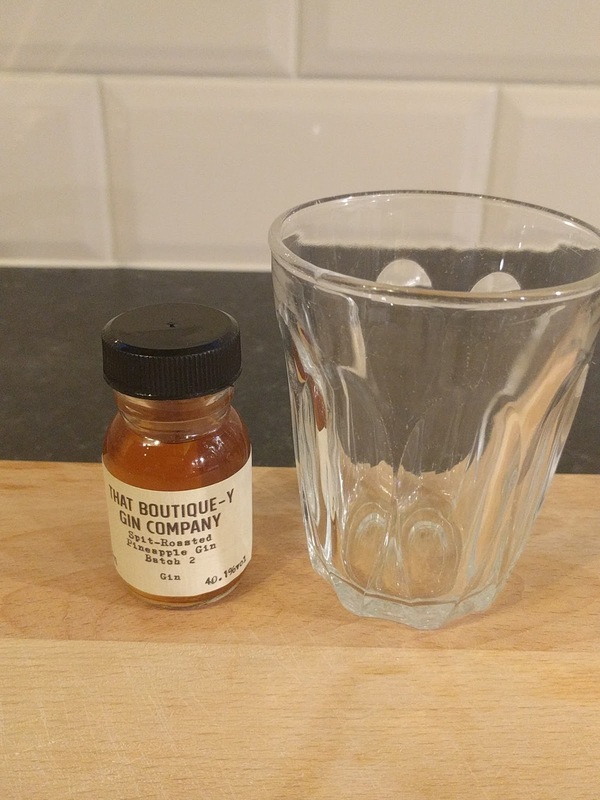 Indeed, I was lucky enough to attend a tasting hosted by the estimable and very congenial Dave Worthington earlier this summer where he let us try a two decades old Tormore which was quite the best expression I've ever had from that distillery. However, their approach is somewhat scattershot. And whilst an open mind and a willingness to experiment is to be commended, I'd respectfully suggest that some things might be better left unbottled. 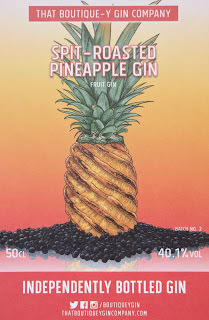 As witness this oddity, That Boutique-y Gin Company Spit-Roasted Pineapple Gin Batch 2. According to the accompanying press release, during the second Golden Age of the Cocktail fruit gins were all the rage. But then, and again according to the press release, the second Golden Age of the Cocktail was the 1950s-1960s, an era which also gave us whiskey flavoured toothpaste and jellied salads. Which makes their judgement in matters of taste suspect, wouldn't you say? The nose is certainly very pineapple-y. Not fresh pineapple, but the juice, from a carton, or perhaps the syrup from a tin. Hang on though, where's the juniper? Seriously, there's no juniper. The palate is suprising. It's very thick, sweet, syrupy, and sticky. I'm reminded (although I'm pretty sure it's a false memory) of an old liqueur that's been at the back of the drinks cupboard for years, perhaps a dodgy knock-off Benedictine clone, or a not very orange-y Cointreau-alike. I suppose the faux-Benedictine memory must be the gin botanicals. In conclusion, bleh. If this had a clear gin character, or fresher pineapple notes, then maybe. But as it is, bleh. 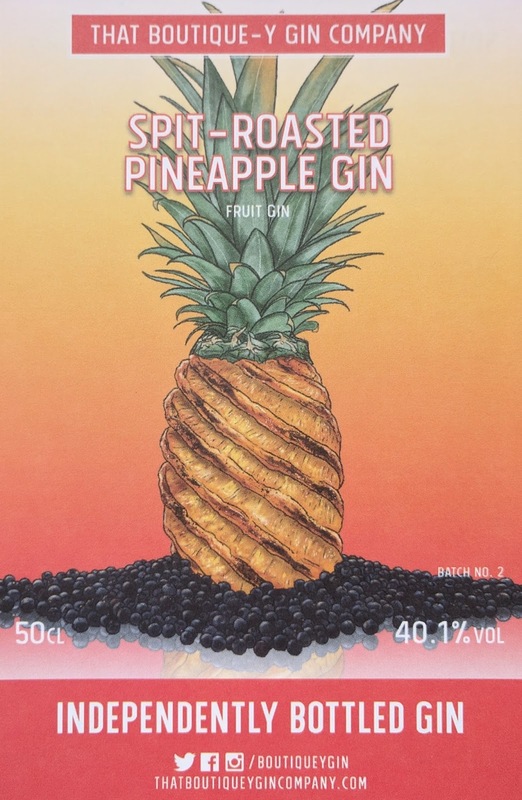 Rereading the blurb, I see that pineapple gin was supposedly also popular in the 1920s. Which means that after this batch of 3300 bottles is done, we ought not to see any more until the 2060s. Fingers crossed.